Israel Scheming To Trick Syria Into Shooting Down Another Plane, An Israeli Commercial Airline? BATTLE FOR WORLD – November 11, 2018: DEBKfile published an interesting article on Nov. 6 titled “Israeli Minister Ze’ev Elkin: Syrian S-300s will be attacked if Israeli military or commercial planes hit” and this remark is very strange because it implies as if the Syrian military is reckless. The public should not forget the incident involving the Russian Il-20 plane where the Israeli military deliberately caused their F-16 jets to register on Syrian radar and then dodged behind the Il-20 where the Syrian missile was unable to discern the final target. Israel never wanted Syria to get the S-300 air defense systems because it denies the Israelis of being reckless inside Syria invading another country’s sovereignty. And so Israel is unhappy about this shift, that Russia’s mistake in giving Syria this capability. For Russia to remove the S-300 air defense systems from Syria, that would call for something disastrous to happen where the blame with bellicose international support would be placed on Syria. 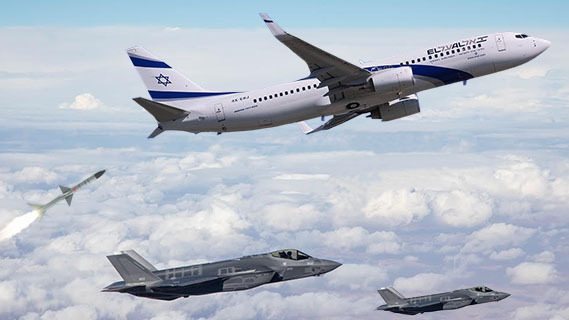 It does not take much planning to redirect, they call it hijacking, a commercial airliner digital control system and place it in the line of fire where Israeli fighter jets (F-15, F-16 or F-35) would trigger Syrian radar to register the jets and then the Israeli jets would pullback and dodge behind the Israeli commercial airliner and if Syria was to mistakenly launch a missile, the commercial airliner is going to go off airport radars. In such an event, the news frenzy alone and calls for urgent meetings at the United Nations, where the corporate media is going to hammer nonstop in the interest of Israeli calling for all sorts punishments and sanctions on Russia and Syria, and as Elkin said, because “The Syrian military are not always capable of correctly using the hardware transferred to them. In case of improper operation…” So they are already confident that Syria does not know how to use the equipment and that Russia has made bad judgement, and proof has to now surface to verify their hypothesis. And so the Israeli intelligence has only to choose the correct timing to implement their grand plan to undo advances that have been made in Syria with the help of Russia. All manner of international intrigues must be expected from the ruling elites steering the One World Order, because there has been setbacks and they are trying to regain grounds lost to the counter faction in opposition of their globalist-fascist agenda. Any country that embraces sovereignty, nationalism and populism are on the globalists hit-list. Are We Headed for World War III? RT – November 13, 2018: As the world paused to commemorate 100 years after World War I, RT America’s Rick Sanchez offers his take on many emerging parallels between now and during the time of the first World War. 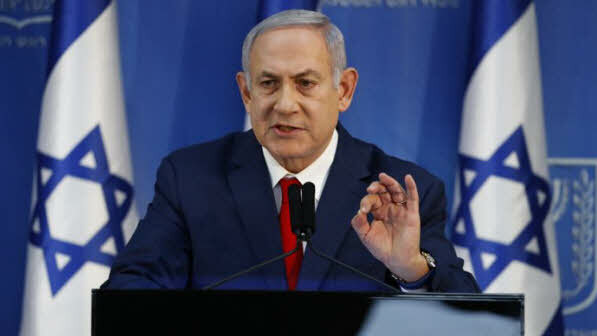 YAHOO / BATTLE FOR WORLD – November 18, 2018: The article highlights that Israeli’s Prime Minister Benjamin Netanyahu said Sunday (November 18) that calling snap elections now would be “irresponsible” as he vowed to push on despite a coalition crisis. Education Minister Naftali Bennett’s far-right Jewish Home party has threatened to withdraw from Netanyahu’s coalition if he is not named defence minister. On Wednesday (November 14), Defence Minister Avigdor Lieberman resigned over the Palestinian ceasefire, throwing the government into crisis.